OpenSpending is a free, open and global platform to search, visualise and analyse fiscal data in the public sphere. With OpenSpending, Open Knowledge International created the opportunity for governments, civil society organizations and communities to publish and visualize their revenue, budgets, spending and procurements data in an open source platform. The OpenSpending platform consists of a core platform with a large, centralised database that allows for deep analysis across a range of datasets.  It is designed, developed and maintained by Open Knowledge International. At the same time, OpenSpending offers tools that enable to establish an ecosystem around fiscal data, which is tailored to the specific aspects and local contexts the data is embedded in. As an open source and a community-driven project, also reflects the valuable contributions of an active, passionate and committed community. Or just use the menu to your left to navigate the rest of the site.